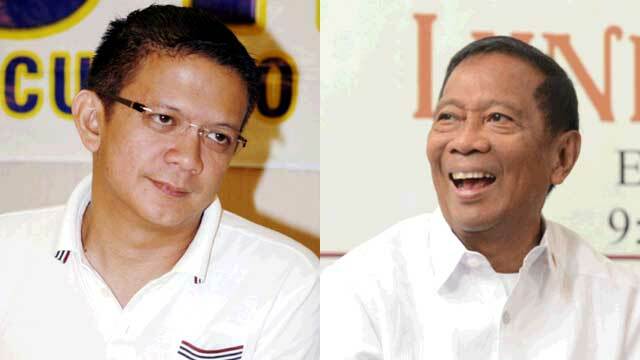 If the elections were held this month, Vice President Jejomar Binay and Senator Francis "Chiz" Escudero will be declared as the country's president and vice president, respectively, based on the latest results from the BusinessWorld-Social Weather Stations surveys. The survey which released results on Friday sampled 1,200 validated voters from Metro Manila, Luzon, Visayas, and Mindanao from the period of January 8 to 10. Binay who is running for the presidency topped the survey with 31 percent. He is trailed by Sen. Grace Poe with 26 percent. Liberal Party standard bearer Mar Roxas II and Davao City Mayor Rodrigo Duterte are not so far behind with 21 and 20 percent, respectively. Binay and Poe were tied at 26 percent in the previous survey conducted from December 12 to 14 in 2015. Meanwhile, Escudero who has continuously led the vice presidential candidates in surveys enjoys the top rank at 28 percent. But his colleague in the Senate, Sen. Bongbong Marcos Jr., has steadily caught up and is now at striking distance with 25 percent. The Liberal Party's Leni Robredo and Sen. Alan Peter Cayetano follow at 17 and 14 percent respectively. For the senatorial race, Sen. Vicente "Tito" Sotto III tops the list with 56 percent. He is trailed by former senator Panfilo Lacson with 49 percent.